Home / Christian News / What Are The Biblical Word For Love? What Are The Biblical Word For Love? The word Love means so many things to different people, the Dictionary such as Webster define it as 'a feeling of strong attachment induced by that which delights or commands admiration; preëminent kindness or devotion to another; affection; tenderness; as, the love of brothers and sisters'. But what does Holy Bible says about love?, Do You Know the Biblical Words for Love? Find out now & understand What Love really is as we present to you Five Biblical Words for Love from the stable of Zondervan and Thomas Nelson. By the end of this studies of 5 Hebrew and Greek words for love will help us to understand what loving someone really means. 1. Ahab: Hebrew word for love. Describes a variety of intensely close emotional bonds. So Abraham loved his son Isaac (Gen. 22:2), Isaac loved his son Esau (Gen. 25:28), and “Israel loved Joseph more than all his children” (Gen. 37:3). In a more romantic manner, Isaac loved his wife Rebekah (Gen. 24:67), and Jacob loved Rachel (Gen. 29:18), but Delilah manipulated Samson by challenging his love for her (Judg. 14:16). We are all called to love the Lord, by expressing obedience to His commandments (Deut. 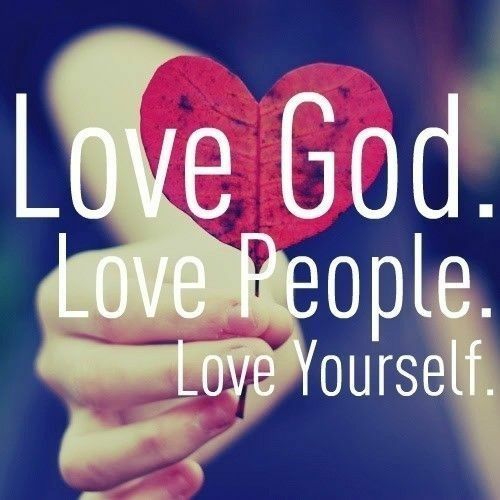 6:5), and to “love thy neighbour as thyself” (Lev. 19:18). Moreover, “he that getteth wisdom loveth his own soul” (Prov. 19:8). 2. 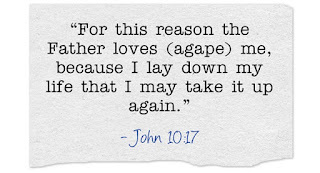 Agapao: God’s love is described as the Greek word agapao, which means unconditional love, preferential love that is chosen and acted out by the will. It is not love based on the goodness of the beloved, or upon natural affinity or emotion. Rather this is benevolent love that always seeks the good of the beloved. 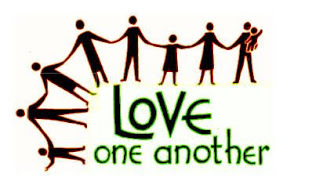 This type of love is exclusive to the Christian community because it flows directly from God’s love: “Beloved, let us love one another: for love is of God; and everyone that loveth is born of God, and knoweth God. 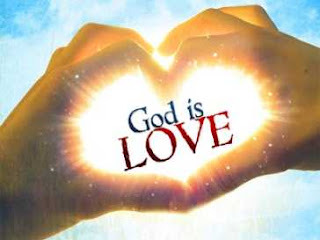 He that loveth not knoweth not God; for God is love” (1 John 4:7,8). 3. Agape: Although common in both the Septuagint and the New Testament, the word rarely occurs in existing secular Greek manuscripts of the period. Like its synonym philia, it designates love between persons (John 13:35), or people for God (1 John 2:15), of God for humanity (Rom. 5:8), and of God for Christ (John 17:26). Whereas phila emphasizes the idea of love arising from personal relationships, agape is founded upon deep appreciation and high regard. 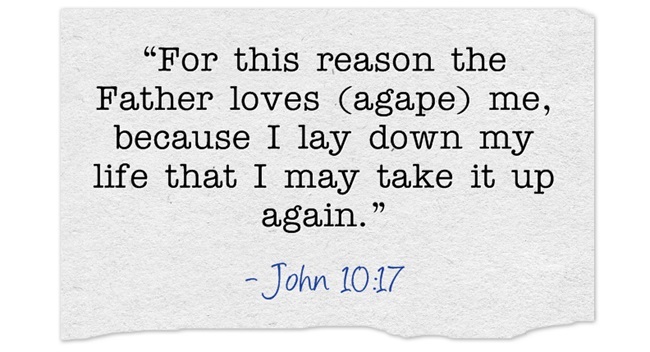 It is perhaps for this reason that agape is the love which God commands. 4. Phileo: One of four greek words for love, this one signifies friendship, fondness, affection, delight, and personal attachment. This word is on of feeling – a heart of love – whereas agape is a matter of benevolence, duty, and commitment. We are commanded to have agape love (Matt. 5:44) but not phileo love because feelings cannot be commanded. Phileo is also the word for “kiss.” Jesus asked peter if he had unconditional, sacrificial agape love, but Peter responded that he had phileo, or brotherly love. Peter’s love deepened, and he wrote of agape love in his later books. 5. Philadelphia: With the roots words phileo, “to love,” and adelphos “brother,” this word signifies loving someone like a brother or sister. We might think of it as fraternal affection. This is not the love God has for us, but rather love between brothers and sisters in Christ. 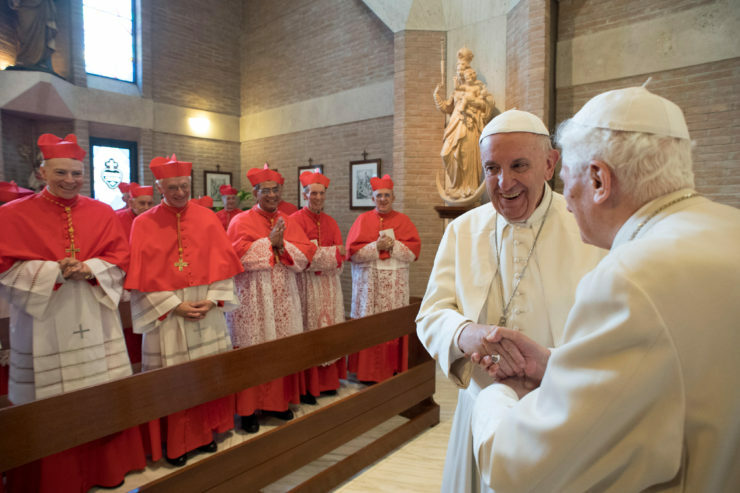 It implies that a familial bond between people who would not otherwise share affection is possible through Christ. So now, what does “Love the Lord thy God with all thy heart, and with all thy soul, and with all thy mind” mean to you?